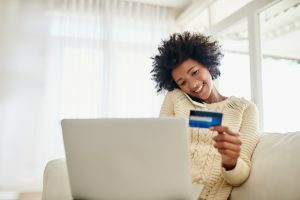 Two recent surveys found that a large majority of young, high-net-worth investors want to make a positive social impact with their investments.1 This may bode well for the future of social impact investing, which has already become a large part of the investment world — and you don’t have to be wealthy to align your investments with your values. SRI strategies typically incorporate environmental, social, and corporate governance (ESG) factors to analyze and construct investment portfolios. This is often done by professional investment managers for large institutional investors, but there are hundreds of SRI funds that make it relatively easy for individual investors to incorporate SRI principles in their portfolios. You might also consider SRI principles when choosing specific stocks. ESG factors include such issues as environmental practices, employee relations, product safety and utility, and respect for human rights. For example, an SRI approach might include companies that produce environmentally friendly products, follow sustainable practices, or are proactive in community and employee relations, while screening out companies that create a high level of carbon emissions, produce tobacco or alcohol products, engage in questionable employment practices, or invest in countries with poor human rights records. Along with screening investments, large shareholders are increasingly using voting power and other influence to encourage corporate management to follow practices that might improve the company’s ESG efforts. A smaller-scale but quickly growing SRI strategy called community investing funnels investment dollars to low- and moderate-income communities that have been underserved by financial institutions. Investing based on your values does not necessarily reduce the potential for financial gain. 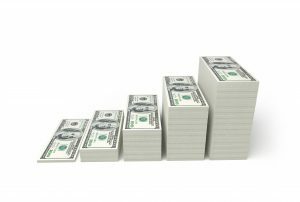 Numerous studies have shown that SRI investments tend to perform as well as — and in some cases better than — similar non-SRI investments.3 However, focusing on SRI strategies does limit the total universe of available investments and could make it more challenging to diversify and maintain your desired asset allocation. Diversification and asset allocation are methods used to help manage investment risk; they do not guarantee a profit or protect against investment loss. Like all investments, SRI stocks and funds entail risk and could lose money, and they may underperform similar investments not constrained by social policies. 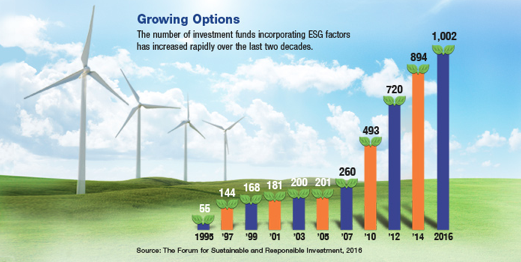 There is no guarantee that an SRI-focused investment will achieve its objectives, and various funds may use different definitions of ESG factors and SRI strategies. You should take the time to learn about a potential SRI stock or fund before making a commitment to purchase it. Investment funds are sold by prospectus. Please consider the investment objectives, risks, charges, and expenses carefully before investing. The prospectus, which contains this and other information about the investment company, can be obtained from your financial professional. Be sure to read the prospectus carefully before deciding whether to invest. The information in this newsletter is not intended as tax, legal, investment, or retirement advice or recommendations, and it may not be relied on for the purpose of avoiding any federal tax penalties. You are encouraged to seek advice from an independent professional advisor. The content is derived from sources believed to be accurate. Neither the information presented nor any opinion expressed constitutes a solicitation for the purchase or sale of any security. This material was written and prepared by Broadridge Advisor Solutions. © 2017 Broadridge Investor Communication Solutions, Inc.